Next up in our series on Irish Whiskey is one of my old favorites, Tullamore Dew. 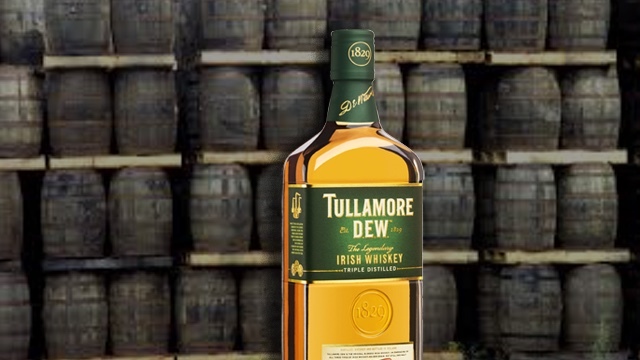 Tullamore Dew is one of the older Irish Whiskey brands that, though not quite as widely popular as the likes of Jameson, still has a strong following. More importantly, they futbalove dresy na predaj produce one of the finest sipping whiskeys currently out there (Irish or otherwise). I tested the Tullamore Dew with a small splash of water in a Glenmorangie glass. The nose is fairly light, giving off faint caramel notes and something that is almost floral. First sip tastes, and I know this is a strange descriptor, incredibly clean. If we are to refer to whiskey as the eau de vie then it has never been more Lacné Futbalove Dresy applicable than here. There is also more of that caramel I detected on the nose, and even some light cherry flavors. There is a touch of smoke, but only a touch, and there is no astringent harshness at all. Taking a drink in earnest, the flavors deepen but do not change. Most notable is just how remarkably smooth the Tullamore Dew really is. This is one that you could kick back with all night easily (though I have reason to believe that it will sneak up on you if you aren’t careful…). If I have any complaint at all it is that the flavors are almost too smooth, but maybe that’s because my go-to beverages are generally more punishing Islay scotches. In any case, I would recommend the Tullamore Dew, particularly if you want a whiskey that will stick with you for the long haul. Sometimes I wonder if I’ve paid too much attention to Liga Privada. But what can I say? They’ve produced some of my favorite smokes and they are consistently well-constructed and flavorful. 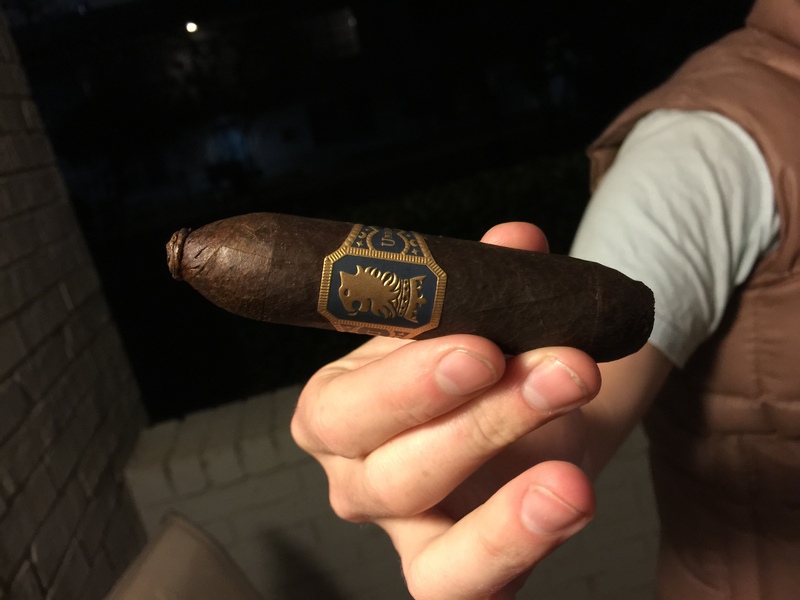 So, at risk of overemphasizing one brand, I’ll dive into my thoughts on the Undercrown Pig. The cigar itself is beautiful. The Undercrown band is the same as that featured on their regular line, and the wrapper is an elegant dark chaussure de football pas cher chocolate in color. The construction, as with the rest of the Liga Privada pigs, is exceptional. The tight pigtail wrap and the fat perfecto shape makes this a cigar you’ll want to show off. The flavors begin with a touch of black pepper and charred maple. Smoke is voluminous and absolutely fills the air. This is not a subtle cigar. The flavor continues throughout the first third and the burn remains excellent, producing a cake of ash that refuses to fall. The second third sees the flavors deepen, the woodsy maple transitioning to syrup and the pepper taking on a slightly more cinnamon flavor. Construction maillot de foot personnalisé remains excellent, and the draw begins to loosen in a pleasant way. At this point I am at the thickest part of the cigar and the smoke is cool and pleasant. The final third sees some chocolate flavors emerge. There is also a touch of something sweet and somewhat vegetal, close to coconut but not nearly as distinct. As it wraps up I also get a touch of leather. Overall the Undercrown Pig impressed me. The flavors were decadent and, though not quite as intense as the Feral Flying Pig, were exceptional. This stick is difficult to find, but if you manage to grab one do it and don’t look back. Jameson Irish Whiskey is a classic. I am certain that nearly every whiskey drinker has had at least a sip or two of Jameson in their lives. Whether on the rocks or in the nefarious “Irish Car Bomb,” Jameson is a treat. All that said, I have never branched out from maillot de basket nba pas cher Jameson proper. 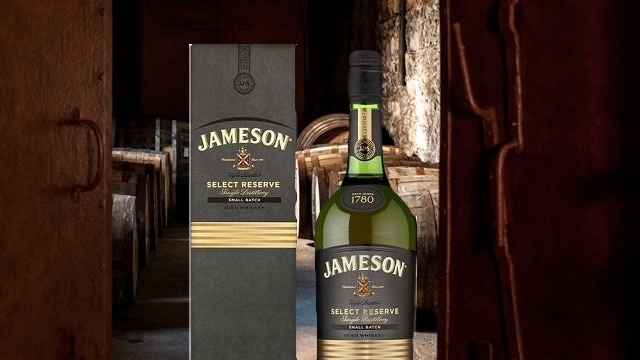 So when I saw the Jameson Select Reserve Black Barrel while perusing the store shelves the other day, I was intrigued. How much better would one of the variants be? The drink is smoother than regular Jameson, and even more drinkable. Taken neat it is bright with a warm finish that tastes like caramel. However, I preferred it on the rocks. It lent more of a vanilla flavor that combined with salted caramel and slightly charred wood. Don’t worry though, the drink is not too sweet. It is simply a balanced beverage that would pair well with rich cigars or as a standalone after-dinner treat. I actually think that I would take Jameson Black over standard Jameson, even at the slightly increased price tag. Give it a try, particularly if you are a fan of Jameson original. You won’t be disappointed.